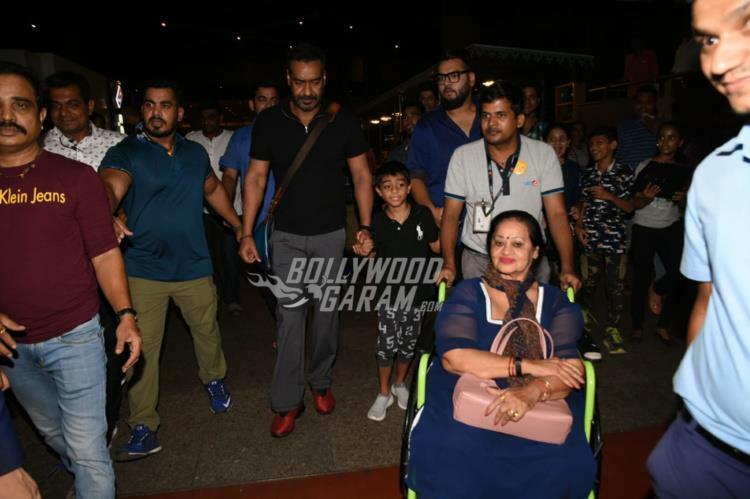 Ajay devgn is not just a good actor but is also a family man. The actor was snapped at the Mumbai airport in Mumbai on June 8, 2018. 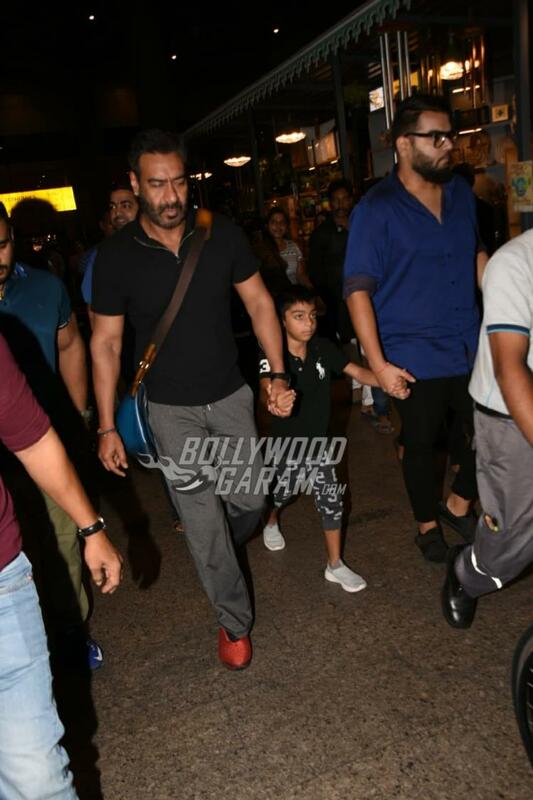 The Golmaal Again star was seen with his younger son Yug and mother Veena Devgn making their way out of the airport. 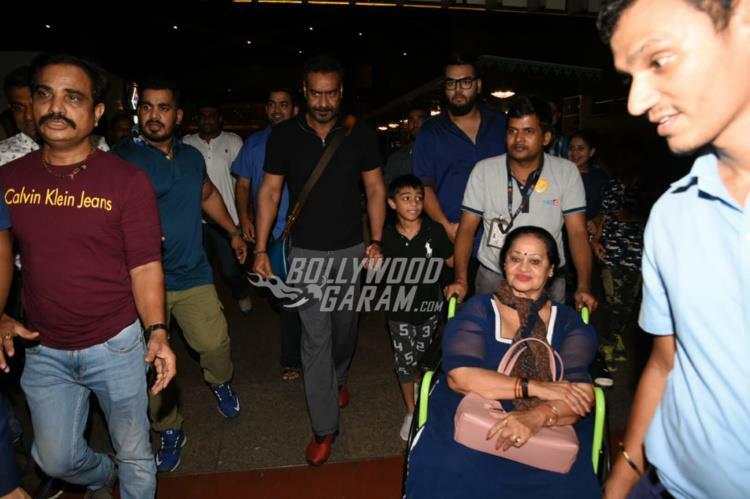 Ajay and son Yug twinned in black t-shirts and grey pants while mother Veena was seen being escorted on a wheel chair. The actor was mobbed by fans at the airport. 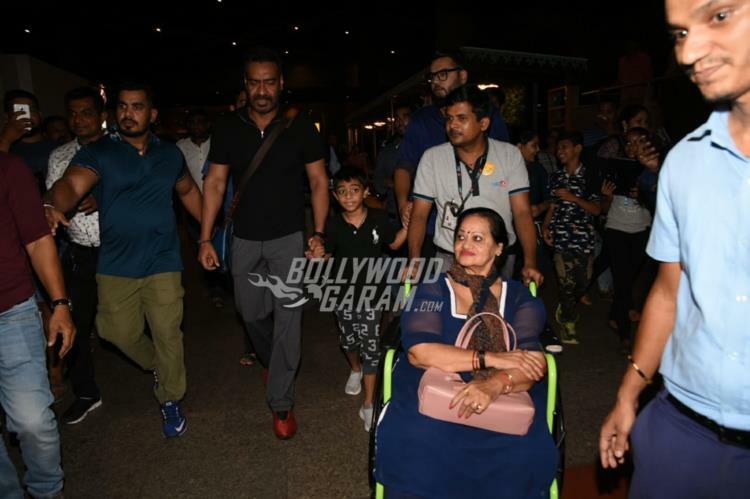 Ajay Devgn’s mother was earlier snapped with daughter-in-law Kajol at the Mumbai airport. On the work front, Ajay was last seen in the film Golmaal Again, directed by Rohit Shetty and proved to be a massive success. 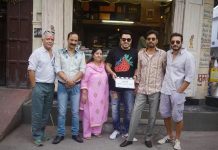 At present the Bollywood star is shooting for the much awaited film Total Dhamaal which also stars Madhuri Dixit, Anil Kapoor, Arshad Warsi, Riteish Deshmukh and others and is due to be released on December 7, 2018.